Hello! 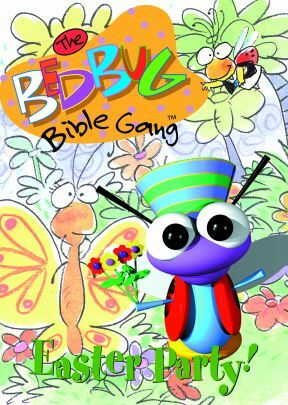 And welcome to the Bedbug Bible Gang Easter Party! 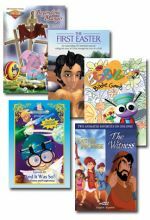 The Bedbugs have been busy with the party preparations, and they can't wait to share the news that Jesus is alive! It's the perfect occasion to party. 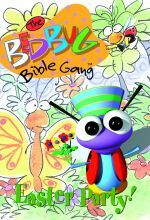 You'll love to hear the Bedbugs tell the stories of the Palm Parade, the Garden Surprise, and Doubting Thomas. So get ready to dance and play, because the Bedbug Bible Gang Easter Party starts right now! Recommended for ages 3-8. Fullscreen. 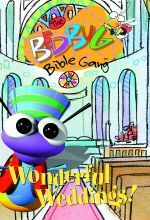 The Bedbug Bible Gang: Wonderful Weddings!